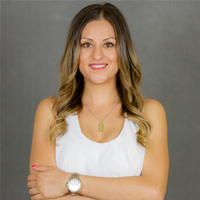 Hi there, my name is Jaclyn Garcia and I am the dedicated Real Estate listing and selling agent here at Northern Pass Properties. I am here to help you with all your home buying and selling needs!! I am a native El Pasoan and come from a large family of Real Estate Professionals. Let me help you, step-by-step, with my down to Earth, attentive and friendly personality to make this the most pleasant experience, while doing the most and best for all my Northern Pass clients! Follow Me On A One Of A Kind Real Estate Experience! !